"Don't Buy Any Tackle Until You Have Visited These Product Pages"
How To Catch Bigger Bass Right Now! We Offered Less. For You. If you've been thirsting for awesome fishing tackle and proof they work… you'll love this! You are given ultra-revealing information about each product so you can make wise buying decisions. You will discover why these products are great, how they work, and what they can do for you. These products are personal recommendations of mine. I use them. I use them all the time. There is a ton of tackle out there, but you are only looking for a FEW great products. So we arm you with the information and proof you need to be highly educated about the best products. 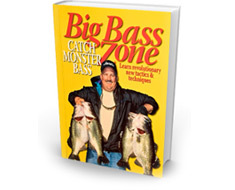 Make you a better bass fisherman. Improve your overall quality-of-life as an angler. So get started by clicking on a product above… ANY PRODUCT! …That’s the best part… They are all for you! Residing in Annapolis Maryland, Kevin Scarselli founded BassFishin.Com in the mid-90's and has pursued bass fishing endeavors his entire life. Kevin frequents the many rivers and lakes of the Delmarva region and travels extensively fishing well-known fisheries across the country in his 21' Triton bass boat. Also an avid saltwater fisherman just minutes from his saltwater fishing boat on the Chesapeake Bay (Severn River). For a changeup from the usual large and smallmouth bass, Kevin enjoys targeting rockfish, flounder and seabass. © 2019 BassFishin.Com, LLC. All Rights Reserved.